Be Prepared — With a minimum of six consecutive days at sea it helps to plan ahead. Make sure to sign up for popular activities early and have in mind some lazy day diversions. Check out the ship’s library, bring a craft project, or enjoy a wine tasting. Take A Moment — Sometimes the constant activity of a cruise can be overwhelming. Plan in some down time to take a nap or escape to a quiet corner with a good book. Make the Most of Your Pre- and Post-Sailing — On itineraries like YMT Vacations’ Transatlantic crossings, your sailing is paired with a land tour. This allows you to experience multiple destinations on a single trip, increasing the value of your cruise. Go West Young Man — When you sail westward you actually get 25-hour days since clocks are set back gradually an hour an evening until you reach your debarkation point. Eastbound sailings result in 23-hour days and some time confusion. Sailing Time — Even with the hour loss in an eastern crossing, cruising is still preferable to the jet lag of flying across the Atlantic since the time adjustment is felt gradually. No, It’s Not the Bermuda Triangle — There is a portion of the North Atlantic where you are in between satellites, which can affect Internet and television connections. 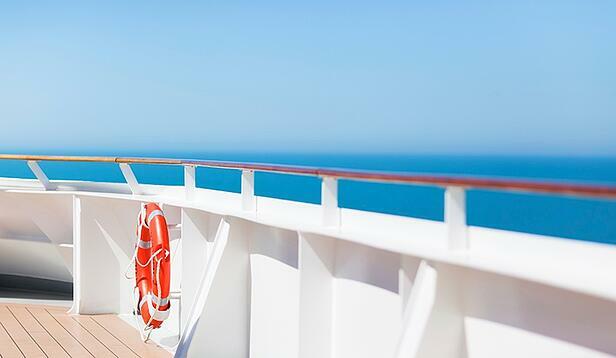 Avoid Weight Gain — We’ve all heard about the weight gain associated with long cruises. However, you can prevent swelling by paying particular concern to your salt intake. Opting for low-sodium meals and drinking lots of water will help. You’ve Got to Move It — You can also avoid the pounds by taking advantage of the ship’s gym, on-board activities and wraparound walking track. Layer Up — When you’re in the open sea it can get pretty chilly, especially in the evening. Pack a jacket, sweater and multiple layers to ensure your comfort. Soak Up the Sun Early — Once you get deep into the Atlantic, the temperatures tend to drop. Make sure to take full advantage of the sun by swimming and sunbathing in the early and later segments of the cruise. YMT Vacations invites you to join us on the Europe & Caribbean Cruise and Tour. This 25-day journey features a land tour of the French Riviera plus post stops in Rome, Valencia and Lisbon before setting sail across the Atlantic. Then you'll explore the Caribbean ports of Barbados, Martinique, St. Maarten and. To join this exciting journey, call you travel consultant or YMT Vacations at 1-888-756-9072. YMT Vacations has been providing quality, care-free discount vacation packages since 1967 - that’s over 40 years of serving our satisfied clients! We specialize in affordable escorted tours and cruises for the discerning adult traveler.